TThis week, South African Tourism is hosting the 2018 News UK Travel Awards – a prestigious awards ceremony which celebrates the top UK travel journalists from The Times, The Sunday Times, Sunday Times Travel Magazine and The Sun. The travel editors and writers from these publications are hosted in South Africa along with top travel industry experts and CEOs of UK-based travel organisations. As 2018 marks Nelson Mandela’s centenary, South African Tourism decided this year would be the perfect time to collaborate with News UK and showcase some of the destination’s top experiences to its members. From 18-21 September, the group of 85 guests will explore the stunning city of Johannesburg, learning about its significance to Nelson Mandela’s life and visiting some of the city’s poignant and historic sites relating to Madiba. The guests will also have the opportunity to engage in the local culture and discover the city’s vibrant art and food scene. After experiencing the bustling city life in Johannesburg, the group will travel to Pilanesberg – home to “the Big 5” (lion, leopard, rhino, elephant and cape buffalo) - for a safari adventure and the travel awards dinner. The guests will experience Pilanesberg National Park, the ecologically rich transition zone between the Kalahari and the Lowveld, which promises spectacular landscapes, thrilling big game viewing and an array of flora and fauna. 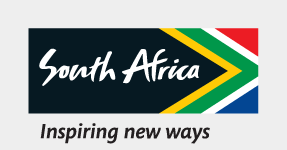 South African Tourism is the national tourism agency responsible for the marketing of South Africa as a preferred tourist and business events destination. It is headed up by Chief Executive Officer, Sisa Ntshona.